I've always wanted to go to England. Part of my being owes a debt to a place I've never been. So many of my favorite bands originated here (Pet Shop Boys, Iron Maiden, Carcass, Talk Talk, Pulp....I could go on forever) and my favorite TV show The Prisoner starts and ends in London. Also, the original Star Wars Trilogy was filmed at Elstree Studios. And most obvious, Veganism has its roots in England; the word was coined there in 1944. So in short, I've been waiting a long time to visit. Isa and I didn't get to do half of what we wanted to, but we'll have to come back soon. Here's a tiny recap of what we did get around to. 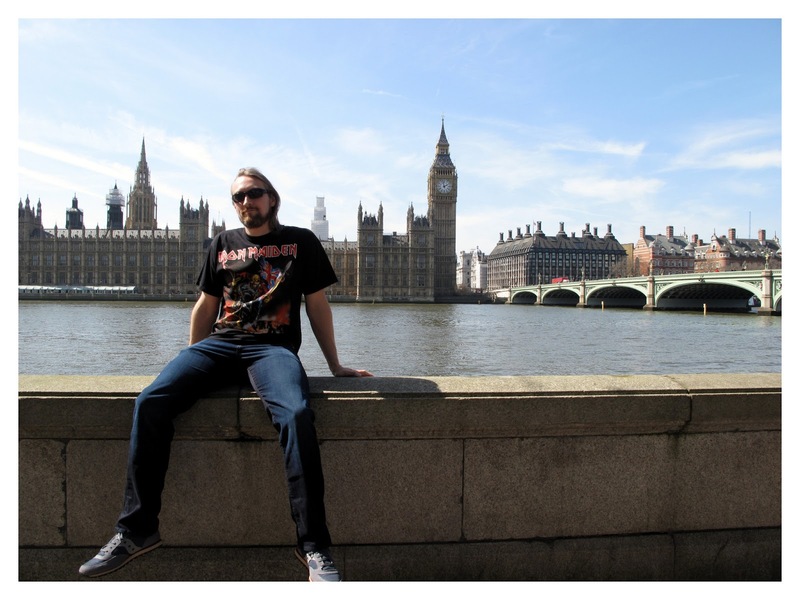 If you've never been to England, hopefully this blog post encourages you to go. We were in London mostly, but I hear there are other Vegan-friendly cities in traveling distance. More than likely, you're gonna have to fly to England. Well, if you called ahead (and call again right before the flight) you should be able to get Vegan food on the plane. We took British Airways and got first class treatment. The food was better than expected and the attendants were super helpful. We received 2 square Vegan meals on the 8 hour flight. Off to a good start! We ended up staying in Camden, but we were all over London. 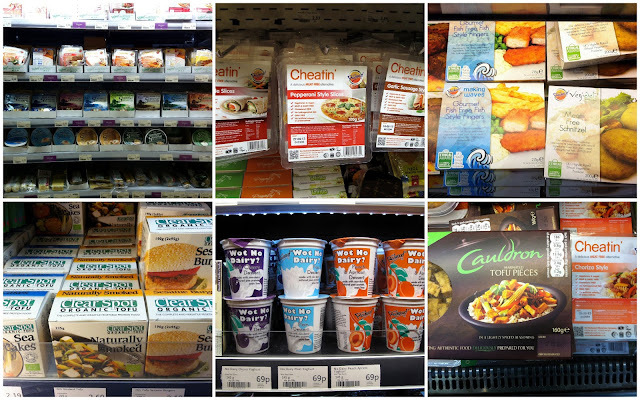 I think I hit up every major Whole Foods and obviously I saw tons of new stuff. You gotta love it! One thing that I have seen before is Isa's beloved Vegusto cheese from Paris. Who can forget? It's not my cup of tea, but I seem to be in the minority. Another reason I was stoked about the trip is that Quarrygirl moved to London and was going to hang with us. To finally put a face to the infamous Vegan Beer & Pizza blogging Queen was exciting. Well, I'm happy to report that she is one of the nicest people I've ever met. The trip wouldn't have been the same without her tips and company. 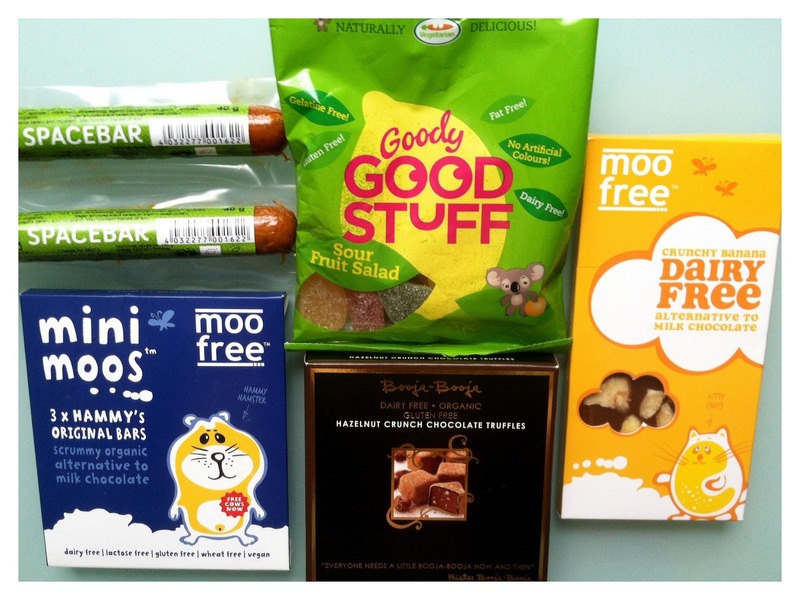 Nevermind that she gave me this bundle of Vegan goodies....that's besides the point! She's rad and I can't wait to hang again. Amico Bio! I don't know if it's because I never get good Italian food (minus Portobella and Isa, of course) but I tore both locations UP! We ate there three times and I loved it. My favorite was the John Lennon Pizza and the onion rings. And putting the onion rings on the John Lennon Pizza. I can't recommend it enough. One of the most exciting parts of the trip was Isa's book signing at Ms. Cupcake. If you're seen my Laziest Vegans Top Ten blog post with Mellissa or seen Quarrygirl's YouTube video, you can probably tell Mellissa is a kind, genuine person and a riot to hang out with. 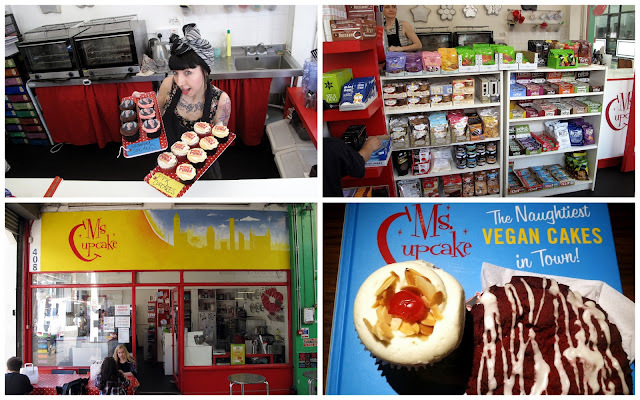 The Ms. Cupcake staff was super cool and the shop was so cute, plus it's a good reason to visit Brixton. A MUST SEE. 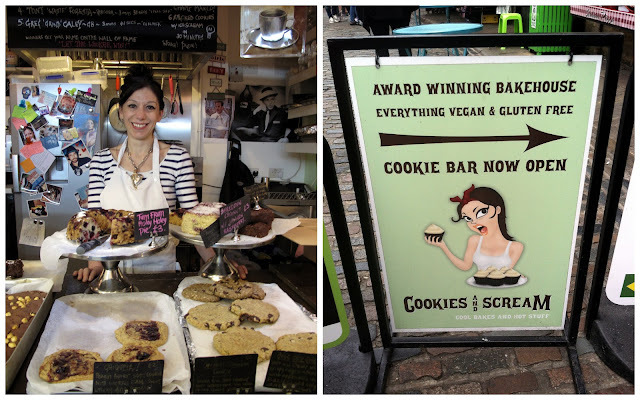 Really close to our hotel in Camden Lock was this little shop, Cookies and Scream. They had some outstanding baked goods including donuts! But their claim to fame is the Wookiee, which is a bar with double choc-chip and thick chocolate. There's even a chalk board to keep track who can eat it the fastest! So that's the trip in a nut shell! Bottom line is if you're Vegan you have to visit England in your lifetime, especially London. Lots or history, art, culture, music and of course food! 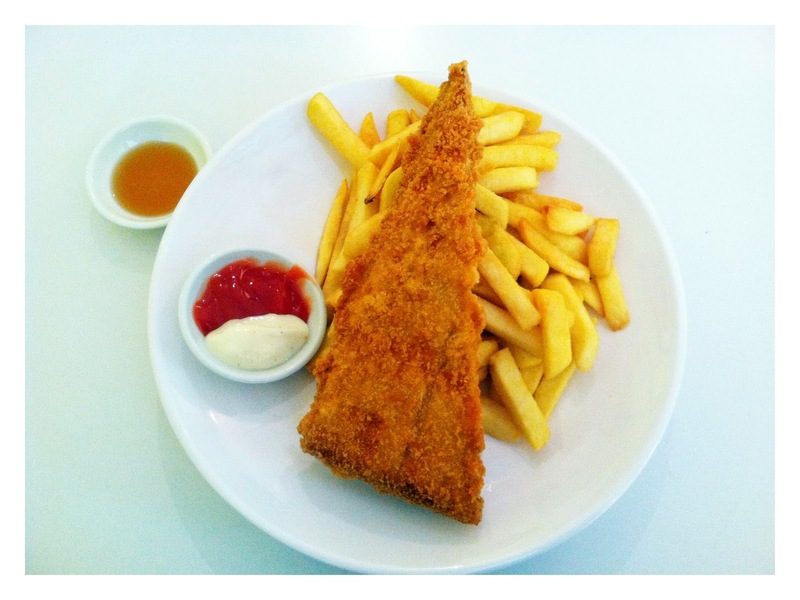 vegan fish and chips?? thats freaking awesome! sounds like you had a great time. I was in England a while back, but i'd love to go again! You've eaten in more London places than me and I live here! Glad you enjoyed your trip. Ha, we tried our best! I still don't think we did half of what we could have. Next trip we'll have to hang! awesome writeup! I was there last year but didn't get to try all these places...now I think I'll have to give a couple of them a try when I go back next year! 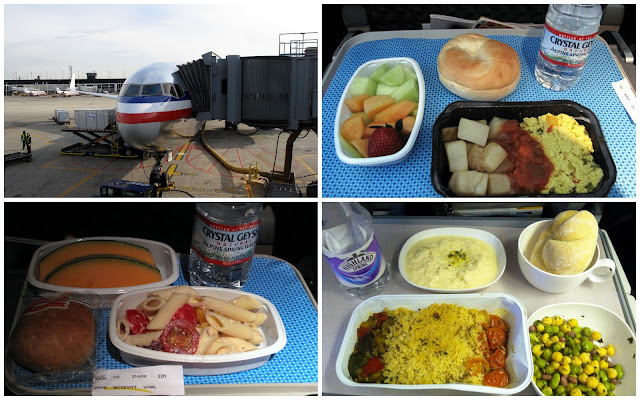 And your food on BA is really good! way better than what i get served on swiss air...even in business class. I am such a Brit-fan. I was in London and Edinburgh in 2001 in my "fish eating vegetarian" days and would love to go back as a vegan. 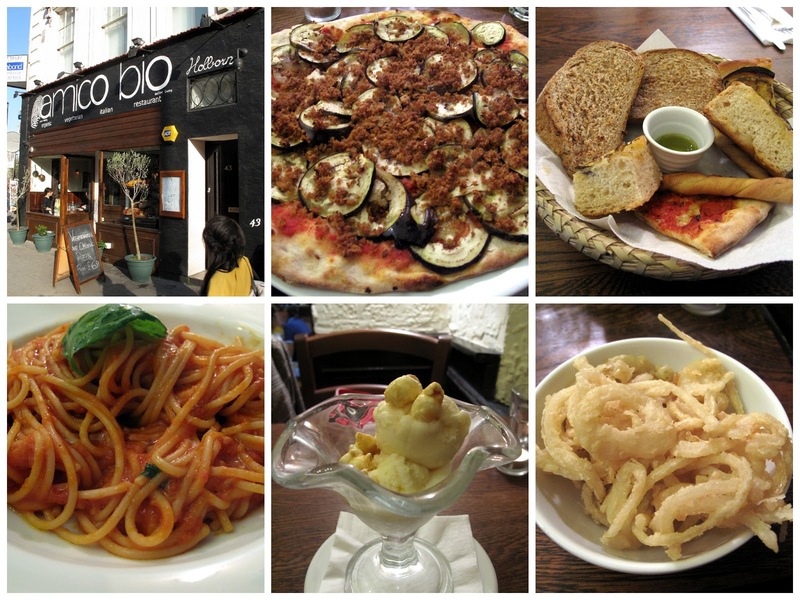 Living so close to Chicago I am spoiled by big city vegan goodness but something about the UK is so beyond brilliant :) great trip report ! Thanks! 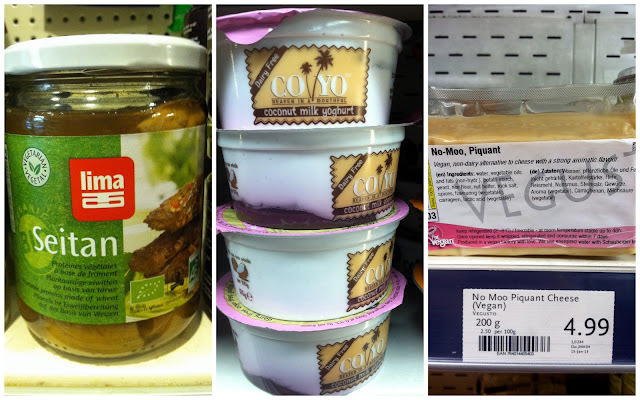 It's awesome you can get traditional British food Veganised.